Rajpipla is a city in Gujarat, located 90 kilometers away from Vadodara. The place also has a number of nearby tourist attractions like the Jain temples of Jagadiya, Islamic monuments of Champaner, the waterfalls of Malsamot, bathing ghats on the Narmada at Chadod and Shuklatirth, 13th century fort of Dabhoi, temples of Gaudeshwar, wood craft center of Sankheda and the picnic spot of Kabirvad. Rajpipla also reflects a bright industrial status as it has the large industrial areas like Baruch, Halol, Ankleshwar, Jagdiya and Amletha. The Rajpipla kingdom is an erstwhile princely state that was under the rule of the Gohil Rajput clan from around 1350 up to 1948, till the time it became a part of the Republic of India. If you are planning to visit this place then without thinking much opt for heritage hotels in Rajpipla as your accommodation option. You will have a great memorable experience to cherish for a lifetime. 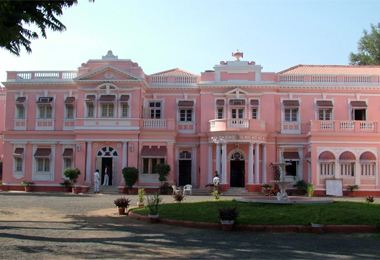 Heritage Hotels of India has a list of such hotels for you to choose from. You can easily book a room for your stay during your vacation. Keeping alive the royal touch, warm hospitality of India along modern facilities has been added to them.